This photo was taken on June 3, 1966. C. Van Epen was a crew member of the gun boat Bennington. Invited onto CVS-20 as honored guest. Captain states "give it another thirty years girls, it's gonna happen". Captain Wiley B. Howell, captain of the USS Bennington in 1965-1966, also served in the RAF Coastal Command Squadron 172 based at Chivenor in North Devon, England in 1941-1942. Pilot Officer Wiley B. Howell, as he was then known was one of the many Americans who joined the RAF, and had the first confirmed kill by 172 squadron on 6 July 1942 using the new Leigh searchlight, when a Wellington bomber he was piloting sank the U-502 submarine in the Bay of Biscay. My father, Wing Commander Rolland G. Musson, was CO of the Chivenor RAF station in 1943, but was killed in August 1943 in the crash of his Wellington bomber on a night time sortie hunting for U-Boats in the Bay of Biscay. Captain Howell and my father were indeed from a remarkable generation of men. My father joined the RAF in 1933 and I believe that Pilot Officer (P/O) Howell, as he was then known, joined the RAF and Coastal Command as a volunteer in 1941. I've attached a photo (below) of the Coastal Command 172 Squadron personnel which I found in the archives of a photographer in Bideford, North Devon in 2002. It was probably taken in early 1943 with the whole squadron including my father and Wiley B. Howell in the center of the picture and in front of a Wellington bomber. 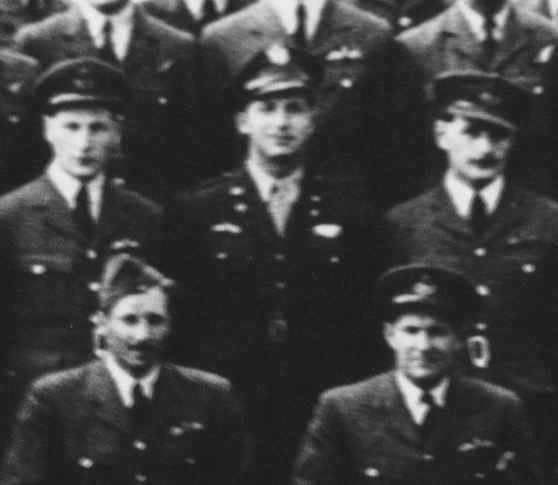 Also note the extracted detail which clearly shows P/O Wiley Howell in his US Army Flying uniform surrounded by officers and men in RAF uniforms. I've also attached a copy from the 23 October 1942 London Gazette showing the award by King George VI of the Distinguished Flying Cross (DFC) to Flying Officer Howell and which I'm sure would have been for the sinking of U502 and volunteering to join the RAF. The Squadron 172 was formed on 4 April 1942 at RAF Chivenor from No. 1417 (Leigh Light) Flight, and was part of 19 Group, Coastal Command. The squadron had been formed to continue the work of the development flight to use the new Leigh Light in conjunction with ASV radar on anti-submarine patrols. The Leight Light was a powerful (22 million candela) searchlight used to illuminate the surface of the sea and any submarines caught on the surface. Will only take a moment of your time but wanted everyone to know that our BENNINGTON was the recipient of another first, if you will. I recently learned that one of BENNINGTON's own was the very 1st "EVER" United States Naval Officer to be decorated by a British King (George). It took place on 17 December 1942. The Captain I speak of is Wiley B. Howell. Captain Howell went to Buckingham Palace for the investiture. King George pinned on his uniform the Distinguished Flying Cross he won when piloting a Wellington Bomber for the Royal Air Force Coastal Command. 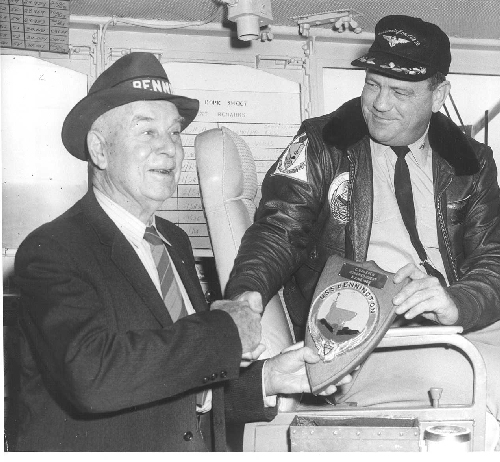 King George asked our Captain Howell about his career and the Captain he told him that he volunteered and was the first American Officer to fly in the Coastal Command. He told the King that he was tickled to death with the medal and would have something to show the folks back home. After sinkjng three ships in a single day U-502 returned to base, but at 04:45 on 6 July in the Bay of Biscay, west of La Rochelle, at Coordinates: 46°10'N 06°40'W / 46.167°N 6.667°W / 46.167; -6.667, she was sunk by depth charges dropped by a Leigh light-equipped Wellington bomber of No. 172 Squadron RAF. All 52 hands were lost. This was the first confirmed kill using a Leigh light. was subsequently awarded the DFC [Distinguished Flying Cross (United Kingdom)]. Howell later returned to serve in the United States Navy, commanding the carrier Bennington in 1965-66. The Leigh Light (abbreviated L/L) was a British World War II era anti-submarine device used in the Second Battle of the Atlantic. 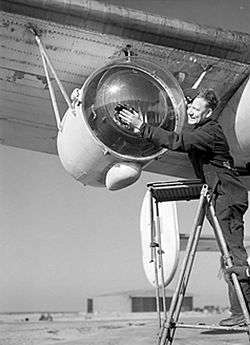 It was a powerful (22 million candela) searchlight of 24 inches (610 mm) diameter fitted to a number of the British Royal Air Force's Coastal Command patrol bombers to help them spot surfaced German U-boats at night. It was successfully used from June 1942 onwards to attack U-boats recharging their batteries on the surface at night. Up to then they had been relatively safe from attack at night. The aircraft would approach the submarine using its ASV (Air to Surface Vessel) radar and only switch on the searchlight beam during the final approach. The U-boat would not have sufficient time to dive and the bomb aimer would have a clear view of the target. 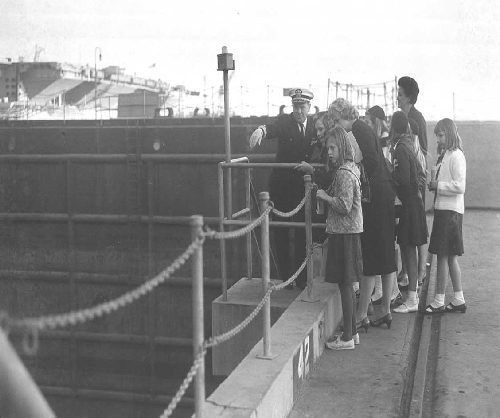 It was so successful that German submarines were forced to switch to daytime battery charging when they could at least see aircraft approaching. After its introduction Allied shipping losses from U boats dropped from 600,000 to 200,000 tons per month.